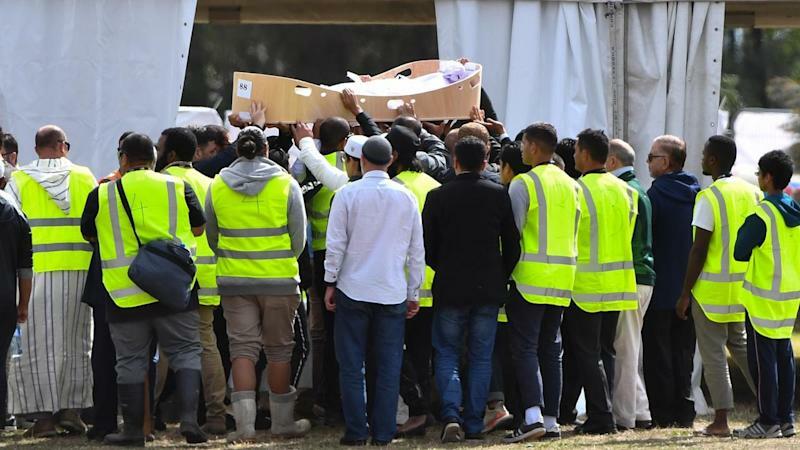 A father and his teenage son, who only arrived in New Zealand months ago after fleeing war-torn Syria, were the first to be buried after last week's terrorist attack on mosques in Christchurch. Khaled Mustafa, 44, and his 15-year-old son, Hamza were farewelled by hundreds of friends, family, volunteers and community members on Wednesday in the first of a heartbreaking series of funerals for the 50 worshippers killed in the nation's deadliest shooting last week. Younger son Zaid Mustafa, 13, tried standing for prayers for his father and brother but couldn't as a result of gunshot wounds to his leg. "To hear him say to his father 'I don't want to be alone', that was devastating," said Australian Jamil el-Biza, who is in the city to support the community. "Even when he was given condolences, we tried not shake his hands and lift his hand and not touch his foot because they're still wounded, but he refused - he wanted to shake everyone's hand." The refugee family moved to New Zealand last year, finally settling in a safe haven, after fleeing Syria and spending time in Jordan. The first burials were followed within hours by four more. 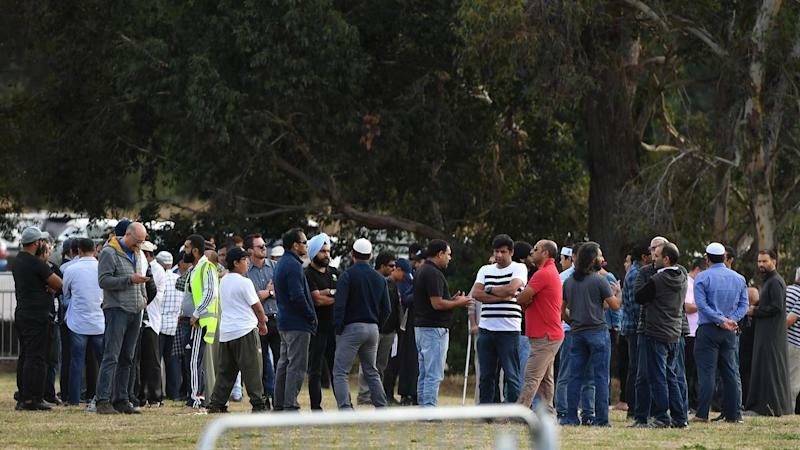 Among them was Christchurch store owner Junaid Ismail, 36, who came to the city as a child and ran the business to support his family, including his three children all aged under five. Ashraf Ali Razat, 58, was staying with relatives in Christchurch while on holiday from Fiji. Aircraft engineer Lilik Abdul Hanis, 50, moved to the city with his wife and two children from Indonesia in 2003. The community also bid farewell to a 54-year-old man. Silence fell across the cemetery as the bodies were lifted up by male mourners and carried from shoulder to shoulder. 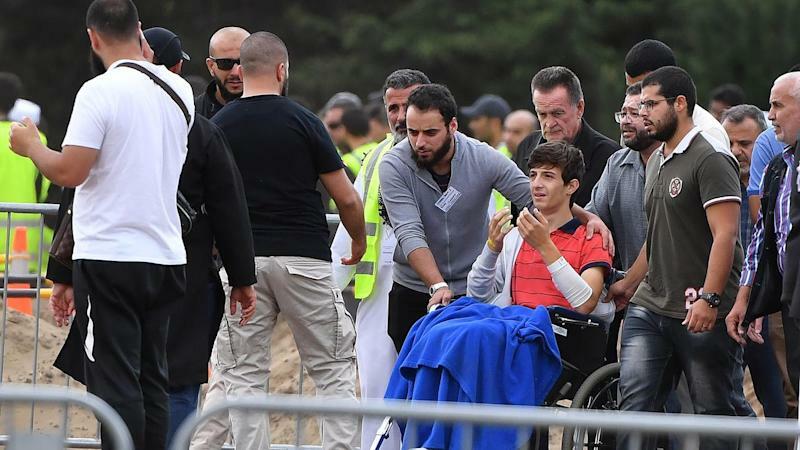 The traditional funeral prayer echoed out across the cemetery and beyond, as father and son were carried across the site and lowered into the ground. With handfuls of dirt, the queuing mourners paid their respects as the bodies were buried. Others were still throwing dirt into one grave when the procession of family carrying the next body toward them began. The funerals are the first of many to be held in coming days, including a mass burial. Islamic funerals are traditionally held as soon as possible, usually within a day. Dozens of volunteers from across New Zealand and Australia have been in Christchurch for days to help wash and shroud the bodies, and prepare the burial site. By Wednesday 30 of the dead had been identified and could be released to families. A number of the dead will be expatriated.